E.MiLac White Lotus Fine Brush #001-01, 9 ml. E.MiLac White Lotus #001, 9/15 ml. E.MiLac French Style #002, 9/15 ml. E.MiLac Pink Cream #003, 9 ml. E.MiLac Mimosa #004, 9 ml. E.MiLac Sunny Day #005, 9 ml. E.MiLac Hawaiian Party #006, 9 ml. 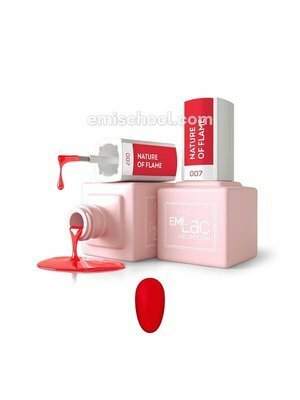 E.MiLac Nature of Flame #007, 9 ml. E.MiLac Luxurious Red #008, 9 ml. E.MiLac Flamenco Dancer #009, 9 ml. E.MiLac Coral #010, 9 ml. E.MiLac Strawberry Marmalade #011, 9 ml. E.MiLac Genuine Lady #012, 9 ml. E.MiLac Cappuccino #013, 9 ml. E.MiLac Nutmeg #014, 9 ml. E.MiLac Chocolate Mocco #015, 9 ml. E.MiLac Smokey Eyes #016, 9 ml. E.MiLac Americano #017, 9 ml. E.MiLac Winter Cherry #018, 9/15 ml. E.MiLac Berry Cocktail #019, 9 ml. E.MiLac Gothic Pink #020, 9 ml. E.Milac Pink Neon #021, 9 ml. E.MiLac Miss E.Mi #022, 9 ml. E.MiLac Cherry Mousse #023, 9 ml. E.MiLac Blueberry Yogurt #024, 9 ml. E.MiLac Lilac Peony #025, 9 ml. E.MiLac Grape Fresh #026, 9 ml. E.MiLac Purple Glow #027, 9 ml. E.MiLac Cabernet Bordeaux #029, 9 ml. E.MiLac Sky of Stars #031, 9 ml. E.MiLac Indian Sapphire #032, 9 ml. E.MiLac Indigo #033, 9 ml. E.MiLac Tiffany Gift #035, 9 ml. E.MiLac Menthol #036, 9 ml. 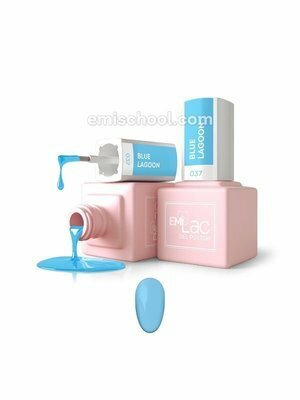 E.MiLac Blue Lagoon #037, 9 ml. E.MiLac Tender Style #250, 9 ml.